Heat is the most expensive form of energy we use in our homes, that's why central heating and hot water are often on a completely separate system to electrics in your home, powered by burning gas rather than using electricity from the grid. The following tips advise how to conserve heat as well as suggesting other ways to save money on your monthly gas bill. 1. If you pay for gas and electricity separately, see if you could save money by combining them with a dual fuel tariff. 6. Turn off your hot water and central heating when you're not in the house, or use the auto-timer to make sure water isn't being heated when no one is home. 7. Cold at night? Instead of turning up the heat, get a hot water bottle. 8. Close curtains and blinds at night to stop heat escaping, and use draught-blockers for draughty doors and windows. 10. Don't let hot water run when shaving or washing your hands and face. Use it sparingly when required. 11. 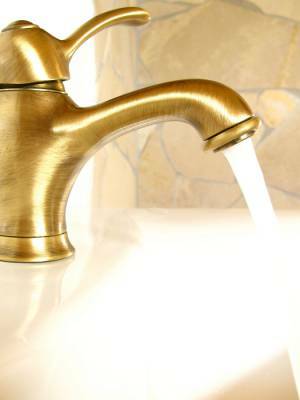 A dripping tap uses the equivalent of 69 baths in a year. If your tap drips, get it fixed. 12. Use the Save section of Money Dashboard's website to get the best gas and electricity deals in your area. 13. Estimated bills are likely to be rather liberal guesses about your gas usage made by your energy supplier, and if you overpay you're missing out on the interest the money could have earned you in your bank account, or saved you by paying off debt. You can usually submit your own meter readings by post, on the phone, or online. 14. Use Money Dashboard's budgeting software to keep track of how much you pay for gas each month compared to previous months. If you have a year's worth of transactions or more you should be able to estimate the cost based on last year's numbers, and adjust your monthly budget to make sure this cost is covered. 15. If your boiler is more than fifteen years old it might be inefficient and worth replacing. Find the make and model of your boiler and look up its efficiency rating. According to uSwitch.com, if your boiler efficiency rating is 60%, you will save a third on your gas bill by replacing it with a 90% efficient boiler, and the savings will pay for the cost in 7.6 years. 16. Some energy suppliers offer free insulation to meet Government efficiency targets. Loft insulation, pipe lagging, and cavity wall insulation will help to keep the heat in your home meaning less gas is needed to fuel your heating. 17. Double glazing your windows will save heat and reduce your gas bills. Get quotes from as many suppliers as you can, at least three, find the best deal, and then go back to the other suppliers and see if they can beat this deal. Repeat the process until they stop giving you a better offer. 18. If the cost of installing double glazing is still outwith your budget, buy double glazing film or ‘stretch wrap' from a DIY store or online, and adhere it to single glazed windows. 19. If you are 61 or older, you may be entitled to winter fuel payments from the Government. Contact the Department of Work and Pensions for more information.